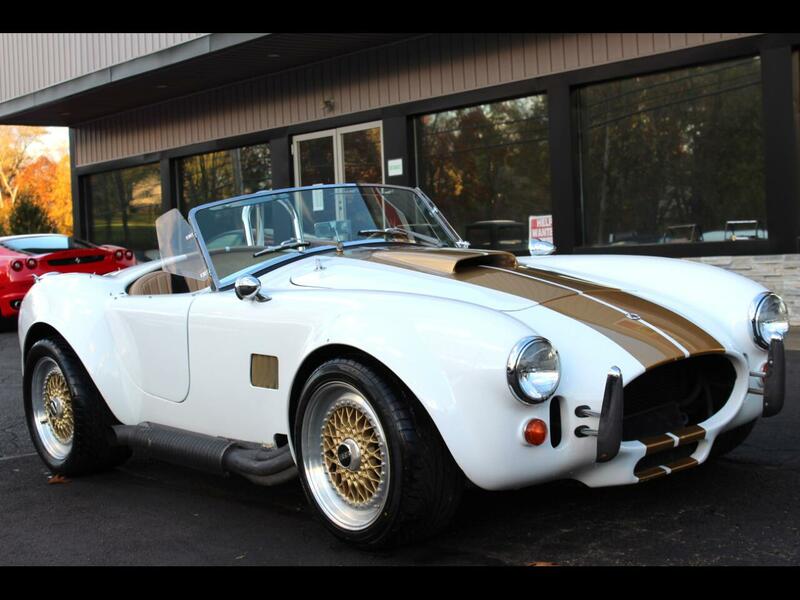 1965 AC COBRA REPLICA KIT FOR SALE. VERY SHARP LOOK! FRESH MOTOR REBUILD! 350 CHEVY ENGINE BORED OUT TO A 421! 471HP! NEW PLUGS AND WIRES. NEW DISTRIBUTOR. BODY BY EVERETT-MORRISON. RUNS AND DRIVES GREAT! BBS WHEELS! COMES WITH REMOVABLE SOFT TOP! LOCATED AT LW 2 9234 PERRY HWY PITTSBURGH PA 15237. WE SHIP WORLDWIDE! Message: Thought you might be interested in this 1965 Ford Cobra.